There are around 2.5 million homeless cats on the streets of the UK. The main reason for this is cats not being neutered. Un-neutered cats means cat rescue centres across the country are struggling to cope with the sheer number of homeless cats. As a cat owner, it is essential to have your cat neutered. There is no excuse for an un-neutered cat, and owners who choose not to neuter their cats are part of the homeless cat problem in the UK. A single un-neutered female cat can be responsible for 20,000 descendants in five years. A female cat can have up to three litters of kittens per year, with five or six kittens in each litter. This can be very bad for them and if they are too young they may not look after their kittens. Neutering is done from 4 months of age, and there is no upper age limit. It is not necessary for a female cat to undergo its first season, or even have one litter of kittens before it is neutered, they do not have maternal needs like humans. Male cats are less likely to roam around and get lost as they have no desire to maintain a large territory. They are less inclined to fight other male cats reducing the chances of serious injuries and diseases being passed They are less likely to spray and their urine smells less. Female cats are also less likely to roam around when they are in season, and they will stop calling out due to not having any further seasons. 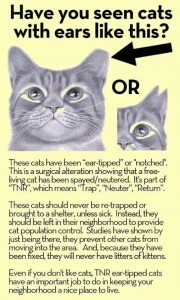 All neutered cats tend to be calmer, more relaxed and they will stay closer to home if they are outside. Neutering reduces the chance of cats getting a serious disease such as FIV or leukaemia and there is less chance of a cat developing tumours in their reproductive systems. Cats taken to a veterinary centre for neutering often stay for just a few hours, or at most, overnight. Female cats will have a lampshade-type collar due to stitches which will need to be removed after several days, males have no stitches or collar. Feral cats can become a major problem in some areas, and if left unchecked, they reproduce rapidly. Unfortunately, most feral cats cannot be rehomed as they are too scared . 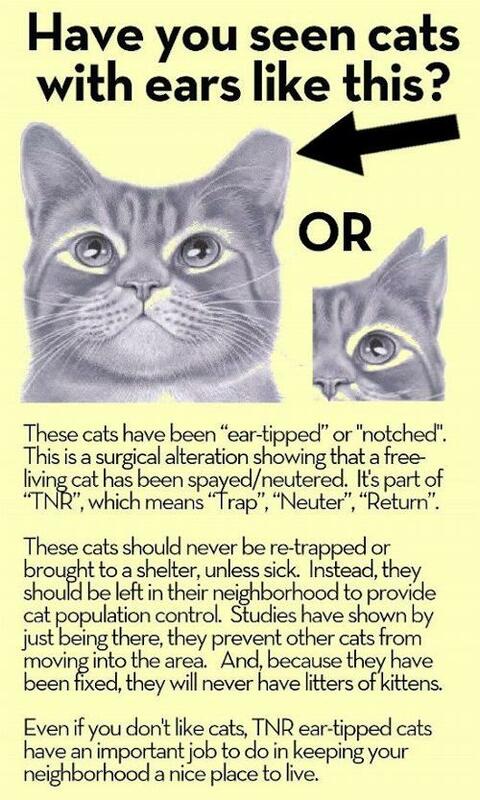 The best way to deal with feral cats is TNR – Trap, Neuter, and Release. The cats are trapped, neutered by a vet, and released back to where they live providing someone can feed them and keep an eye on them for sick or injured cats. If you have feral cats living in your area, contact us and we can put you in touch with organisations that can help, as they may have volunteers who could help trap the cats and get them neutered. If they don’t have any volunteers, they would be able to let you borrow a trap. Explain to your vet what you are doing with the feral cats, and they can advise you on when to take the cats to them. Microchipping your cat greatly increases the chances of him/her being reunited with you if ever they should get lost. It is a safe and permanent procedure which involves injecting a tiny microchip under the skin between the shoulder blades. Both the cats details and your details are stored on a national database managed by PetLog. If your details change such as address, you will need to contact PetLog to update your details. PetLog can be contacted on 0844 4633 999. All vets and many animal rescue and welfare groups have microchip scanners. As soon as a cat is brought in, they are scanned for a microchip. It is far safer and more effective than using a collar for your cat. Microchipping can be done from 4 months old.